Not content with just whisky, and with a little encouragement from his gin-loving friends, Dan decided to embark upon a gin-making journey. Meeting with the experts at Arnold Holstein in Germany, he decided upon the build of a tailor-made 500 litre hybrid still. This comprises of an onion head, carter head and column for the production of our flagship Cotswolds Dry Gin (along with some exciting exclusives such as more contemporary style gins, brandies and eaux de vies, along the way)! 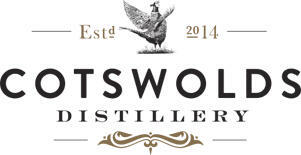 And so began our dream to produce world-class artisanal spirits worthy of the Cotswolds official designation as an Area of Outstanding Natural Beauty. We hope you enjoy our Outstanding Natural Spirits.